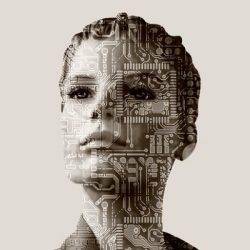 UK GDP could be around 10 percent higher in 2030 as a result of artificial intelligence (AI) – the equivalent of an additional £232 billion, according to new research by PwC. This makes AI the biggest commercial opportunity in today’s fast-changing economy, according to the report’s authors. The research shows that the majority of the UK’s economic gains over the period to 2030 will come from increasing consumer demand resulting from AI driving a greater choice of products, increased personalisation of those products and making them more affordable over time. Labour productivity improvements will also drive GDP gains, but to a lesser extent. PwC’s research notes that the benefits from labour productivity growth will be felt first, with the increased consumption-led benefits from AI-enhanced products coming through later as more of them come onto the market. As this happens, competition within the AI goods market will increase dramatically, leading to future increases in the value of goods to consumers and therefore the amount people spend on them. The analysis claims to underline how the scale of the AI opportunity needs to be underpinned by both more robust governance and new operating models to realise its full potential. PwC’s Responsible AI report warns that effective controls need to be built into the design and implementation phase to ensure AI’s positive potential is secured, and address stakeholder concerns about it operating beyond the boundaries of reasonable control. PwC’s global report Sizing the prize outlines the economies that are set to gain the most from AI. Drawing on the most detailed analysis of the business impact of AI ever carried out, the report shows that the greatest economic gains from artificial intelligence are likely to be in China (with a potential boost to GDP of up to 26% in 2030) and North America (14.5% boost), The potential GDP boost is equivalent to a total of around $10 trillion in these two regions, which account for around two-thirds of the estimated total global economic impact of around $15 trillion. Included in the analysis, the PwC AI Impact Index pinpoints three business areas with the greatest AI potential in each of eight sectors, such as image-based diagnostics, on-demand production and autonomous traffic control. Overall, the biggest sector gains globally will be in retail, financial services, and healthcare as AI increases productivity, product value and consumption. By 2030, an additional $9trn of GDP could be added from product enhancements and shifts in consumer demand, behaviour, as AI-driven consumption gains overtake those related to higher productivity (estimated at around $6 trillion by 2030).